This seriously limits our capabilities. An art car is way beyond our doing. We can’t make snow cones. I can’t even bring the equipment to DJ. I can put my kid to work, though – especially because he’s such a great artist. 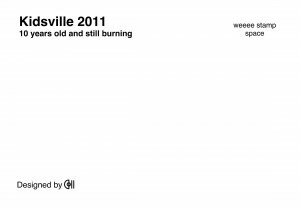 And so, this year, as per every year, I asked him to design a sticker, given they’re much beloved at Burning Man. It didn’t happen. 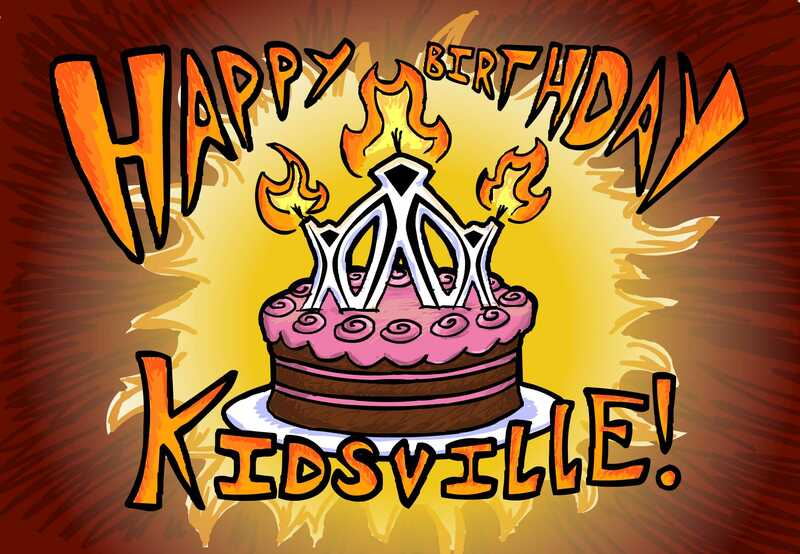 Asked him to design the Kidsville t-shirt. He couldn’t get to it in time. Finally I insisted he design a postcard, and you know what? He took to the task with a vengeance, and came up trumps. 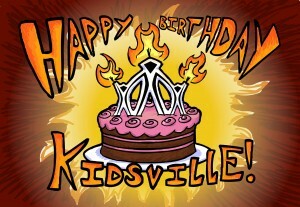 It turned out it was Kidsville’s 10th birthday, and the card reflects as much. We printed up 1000 for barely $50 and distributed them individually out on the Playa, on board Mutant Vehicles, as we walked around the City, at the Circus Circus Hotel over breakfast the day after we returned, and even on the two plane journeys home! Only about one person in every fifty declined a card; of the 49 who accepted, almost all did so with a thank you, a smile, and kudos to the kid behind it. (To his embarrassment, proud dad made a point of telling people who it was.) Thanks for doing them, son. 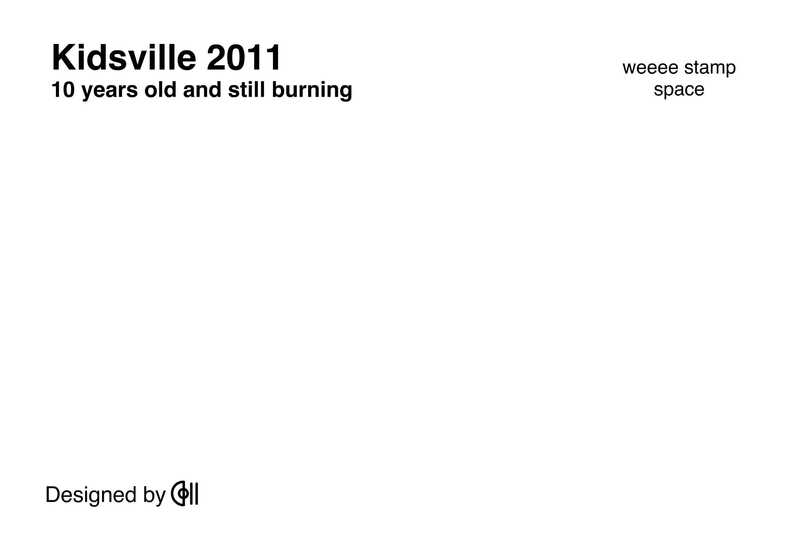 You’re a great little burner. You’re just not so little any more.